You can purchase Gift Vouchers for Heights Hotel directly from our website. 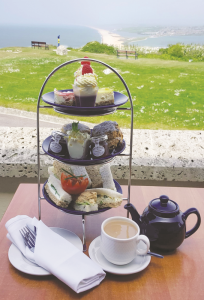 Our Afternoon Tea Vouchers are a perfect present for everyone. 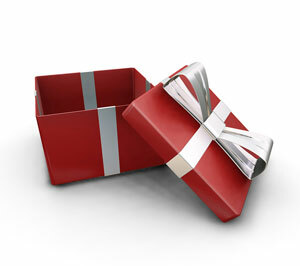 £10 value voucher are useful presents for dining or staying at the hotel. All payments for items on this page are processed securely by PayPal on their secure server. If you need to add a note to your order you can do so on the PayPal website or contact us directly. Collect at Hotel Reception or if you select to have the voucher posted (£1 extra) to you please make sure your address details are added at the PayPal checkout. The perfect gift. A traditional afternoon tea for 2 persons. 3 rounds of afternoon sandwiches egg & cress, Portland crab, cucumber. 2 scones with preserve, butter and clotted cream. 4 dainty afternoon cakes. Pot of tea, or cup of coffee with free refills. £32.00 per voucher (for 2 persons). Voucher will be posted to you or can be picked up at the hotel. The perfect gift. A traditional afternoon tea with a glass of sparkling Prosecco for 2 persons. 3 rounds of afternoon sandwiches egg & cress, Portland crab, cucumber. 2 scones with preserve, butter and clotted cream. 4 dainty afternoon cakes. Pot of tea, or cup of coffee with free refills. A glass of sparkling wine per person (2). £42.00 per voucher (for 2 persons). Voucher will be posted to you or can be picked up at the hotel. Give the gift of choice. Vouchers can be used against overnight stays, dining, themed breaks or afternoon teas. £10.00 per voucher. Voucher will be posted to you or can be picked up at the hotel. A wonderful present a choice of breaks throughout the year. £200.00 per voucher (a break for 1 person). Check website for break dates and full itinerary. Voucher will be posted to you or can be picked up at the hotel.